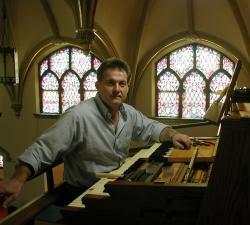 Stuart Weber joined the organ industry fourteen years ago and has been pleased to work at Buzard for thirteen years. Stuart specializes in console refurbishment, rewiring, refinishing and upgrading. His beautiful re-purposed consoles are to be found all around America!